Calling all brides or just anyone who is a fan classic style! 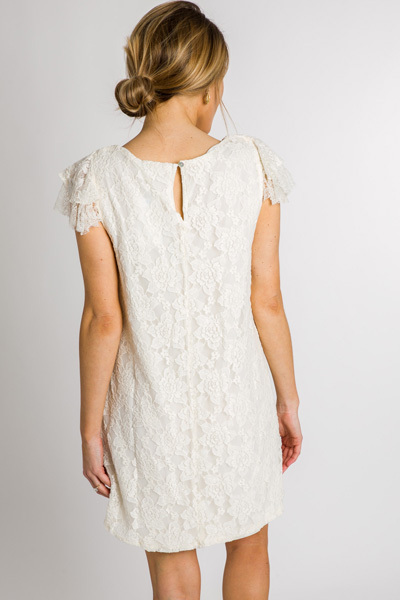 Ivory lace with a ruffled V neckline for the ultimate feminine fit. Dress is lined and offers some stretch. Button back closure. Fit is true to size. Model is wearing size small. Length measures approximately: S- 31" M- 32" L- 33"